The Islamic school is an investment from the community to shape children, an invaluable asset, into a good community member. The Islamic school is a way to teach our children the true teaching of ALLAH, HIS Prophet and Holy Ahlulbayt. The Islamic school is an opportunity for community children to be part of true Islamic culture understanding Haram, Wajib, Halal, and Makrooh. Islamic school commences with the dua of Imam-e-Zamana with the intention to seek blessings from living Imam. The primary objective of the Weekend Zainabia Islamic school (ZIS) is to teach students to believe in Allah and to practice their religion in accordance with Quran and Sunnah. The goals of ZIS are to ensure that as the child goes through each level of ZIS, he/she gains knowledge about our Deen and applies it in the correct manner in his/her daily life. Another goal is also to provide an Islamic environment for our youth on a weekend day so they can interact and socialize with likeminded youth. The weekend school usually last about 4 hours, which is not enough time for the teachers to cover the curriculum in a comprehensive way. The role of the parents come into play. Keeping close attention on their children's homework and assignments may help children remain focus on learning at the weekend Schools. Parents should exhibit as much, if not more, interest in the weekend school studies of their children. Usually, this is not the situation. Parents usually drop off their children late to Islamic schools, many times don't even bring them, and furthermore if students do arrive at school, they have not completed the required homework, and frequently come without the necessary books or previous weeks handouts. Parents should have a private meeting with the principle and each of the teachers of their child on routine basis to evaluate the performance. This will also give a psychological boost to the teachers, who are mostly on a voluntary basis and will help them to be more professional in their approach to dispersing their knowledge. Parents should become members of the PTA (Parents and Teachers Association) they can volunteer to be teachers in the school. This will place them in direct contact with the school administration and help them to submit proposals to transform the school for the better. The weekend school teachers are less appreciated and often times feel that parents just drop them off in the morning and go shopping until the time of the end of the school. Children follow their parents. When parents show interest and importance to something, children likewise will get motivated follow them. No wonder we usually see that children of highly educated parents who are involved in their children's studies also tend to excel in their studies. Since gaining knowledge of our principal is an obligation, parents should assist their children in fulfilling this obligation both at home and in the School. 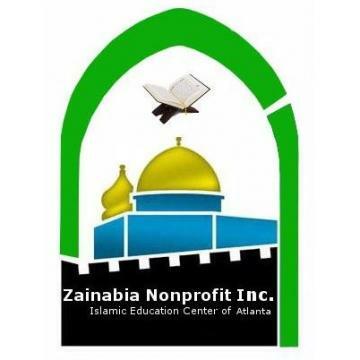 Zainabia Sunday school strives to put all the effort with dedicated and punctual staff to provide Islamic education each child deserves.